From March 8 to 15, Steven will be on tour in Germany to celebrate the publication of the new German translation of The Barbecue Bible (published by H. F. Ullmann, a division of Tandem Verlag). 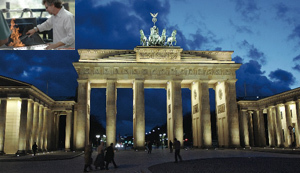 During his weeklong tour, Steven will be in Frankfurt, Munch, Hamburg, Cologne, and Berlin. For a list of Steven’s appearances, click HERE.